Humanity faces a turning point – the next stage in the evolution of the human brain – and it’s being driven by machines. This two-part documentary investigates the phenomenon, introduces the players and asks: what are the real-world consequences of a super brain? In the process we meet young, innovative thinkers who are using technology to unlock our own in-born mind-abilities. In this episode, we explore technolgies that promise superpowers and witness experiments that are literally changing minds! Physical connections between man and machine are on the verge of becoming mainstream. The next generation is already experimenting with this new reality at implant parties where they can have computer chips implanted into their hands to enable personal data transmission; where they can exchange information; and see the latest inventions. Some devices have the potential to enhance our senses. One uses electrical stimulation on targeted areas of the brain to dramatically intensify focus on specific tasks. It can actually heighten vision to superhuman capabilities. But superpower comes at a price: during the stimulation, other brain functions are impaired. Up until now, technology has been a means to exchange information. 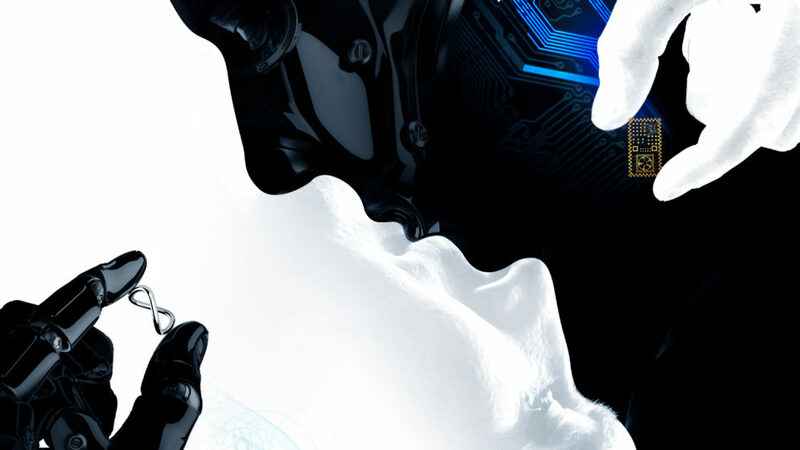 Now, a rapidly growing group of people that call themselves consciousness hackers, are claiming that we already have the tools to take the next step – to use technology to connect humans, mind to mind. This will enable us to understand and deal with technology in a way that has never before been possible. Episode 2 takes us into a sci-fi world where machines are on their way to becoming ’almost human’. From robots that can walk and run on two legs, to OpenWorm, the project that ‘brought to life’ the first digital ‘living being’, and on to Sophia… an extremely sophisticated and very intelligent ‘female’ android.